Even though the iPhone 6 isn’t expected to arrive until September time, there’s been a notable spike in the frequency of new details relating to the Cupertino’s next big thing. 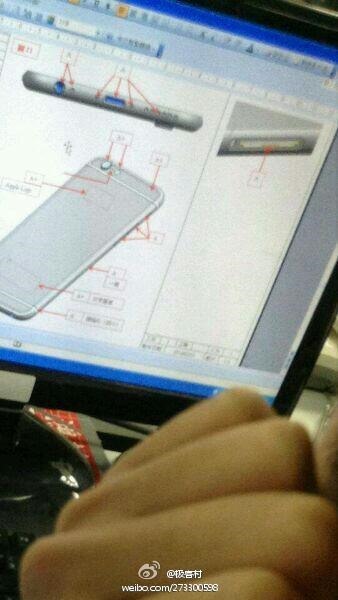 From what we’ve heard, ‘big’ is the operative word here, with a 4.7-inch model apparently allied to a larger configuration packing a 5.5-inch display, and thanks to a leaked image via Chinese social network Weibo, we may have our first legitimate look at the device’s rear shell. 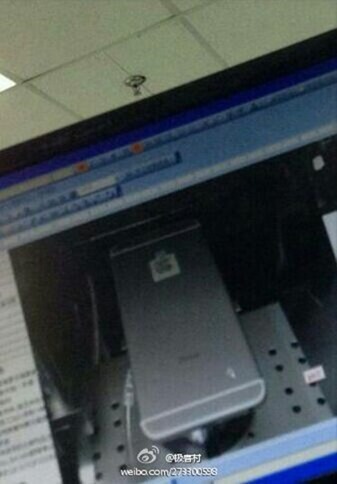 The grainy snaps supposedly originate from a Foxconn factory manufacturing the device, and although the shots aren’t of as bad quality as leaks of this kind usually are, it’s hard to glean any real perspective on how much bigger the ‘iPhone 6’ is compared with the current form factor. One thing immediately noticeable about the handset, however, is the fact that it retains the same ‘long’ design that the iPhone has carried since the iPhone 5, which, if this is a legitimate sighting, ties in nicely with the notion of an edge-to-edge display. Even though Apple’s iPhone 5s has is considered an elegantly-designed phone, it’s fair to say that the general aesthetics haven’t changed a great deal since the iPhone 4 back in 2010, but with Tim Cook’s company apparently stepping things up in terms of display real estate, it’s looking evermore likely that the design will be subject to similar attention. 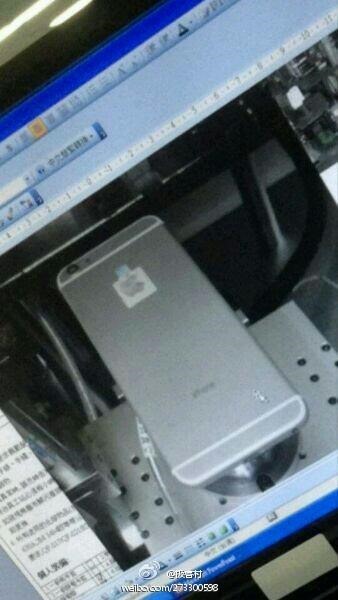 With so many rumors having flown about, it’s been very difficult to pin down any kind of consensus, but in line with some reports, this iPhone 6 leak sees the device borrow much of its finish from the iPod touch / iPad Air, with a decidedly curvaceous rear shell. Whether this means that the iPhone 6 will also be notably thinner than the iPhone 5s – it’s unlikely to be lighter to due to the increase in size – is anybody’s guess, but it’s also important not to completely disregard the idea that this may well be an ‘iPhone 6c’ at work, rather than the next flagship. Just to add to all of the confusion, there has been much suggestion that the iPhone 5c – which looked dead in the water after many had written it off as a flop – will be succeeded by a larger, thinner device, and this could well be it. Sure, it looks aluminum, but it’s not written anywhere that a lower-end device must be made of plastic, and so right now, the possibilities as to what this leak represents are seemingly endless. Presuming, just for a moment, that this was a 4.7-inch / 5.5-inch iPhone 6 – based upon the rear shell only – do you think Apple has taken a step forward in terms of design? Do share your thoughts and comments below!